‘The Masked Singer’ Season 1: Is Rumer Willis the Lion? The Lion is one of the four mystery celebrity contestants will compete on “The Masked Singer” Season 1 episode 5 titled “Mix and Masks,” which will air on January 29, 2019 on Fox. 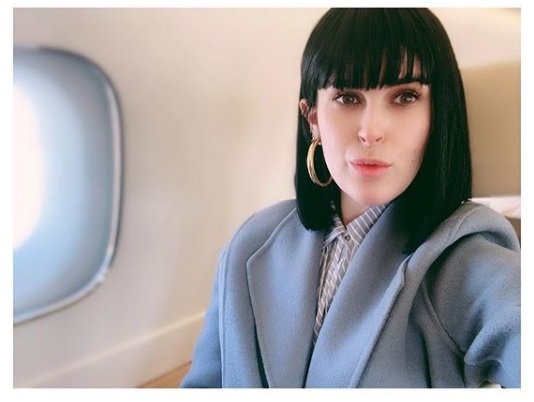 Many fans of the new Fox reality singing competition show believe that the singer behind the mask is Rumer Willis, 30, the oldest daughter of Bruce Willis, 56, and Demi Moore, 63. Fans noticed that several clues seem to point out that the Lion of “The Masked Singer” Season 1 is Rumer. Born on August 16, 1988 in Paducah, Kentucky, United States, she is a Leo. Moreover, Rumer had a total of 22 tattoos, one of which was a large lion tattoo on her left arm. However, she had the tattoo removed at LaserAway in 2018. In 2015, Rumer won the ABC reality dance competition “Dancing with the Stars” Season 20 with Valentin Chrmerkovskiy. From 2017 to 2018, she starred in the Fox musical drama series “Empire,” where she played Tory Ash, a singer-songwriter who was friends with Jamal Lyon (Jussie Smollett). The Lion revealed on the previous episodes of “The Masked Singer” Season 1 that many would consider her Hollywood royalty and there are lots of women in her pride. Rumer has two sisters namely Scout Willis, 27, and Tallulah Willis, 24, and two half-sisters Mabel Ray Willis, 6, and Evelyn Penn Willis, 4.